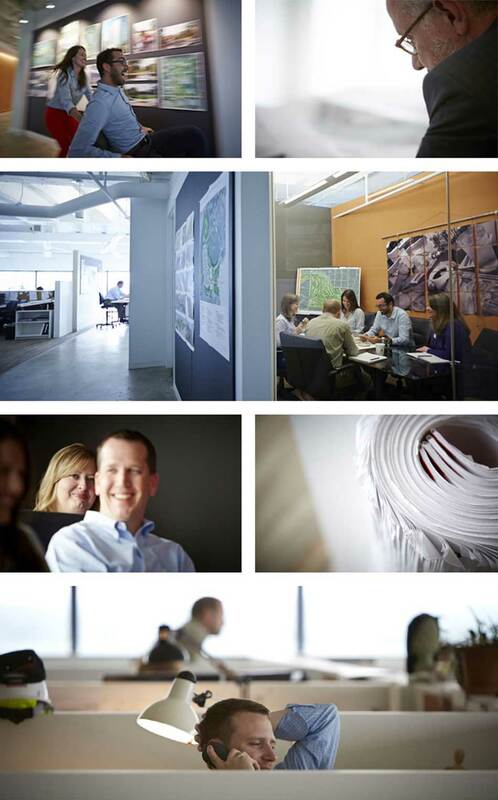 HGOR is an industry leader known for their incredibly thoughtful approach to land planning and design. Their focus is designing great places for people – places which support clear returns on investment and provide a stewardship ethic for future generations. Like many growing businesses, their web presence had become outdated and was difficult to manage and keep current. Resource was honored and up for the challenge of creating an engaging online experience that showcased the magnificent work of this great company. HGOR had recently moved and built out new office space – a very collaborative and forward-thinking working environment that is perfectly aligned with their reputation for high quality and innovation. Our first order of business was to orchestrate a photo shoot to capture a sense of their workplace, specifically focusing on thoughtful people having fun at work and fostering a spirit of collaboration. 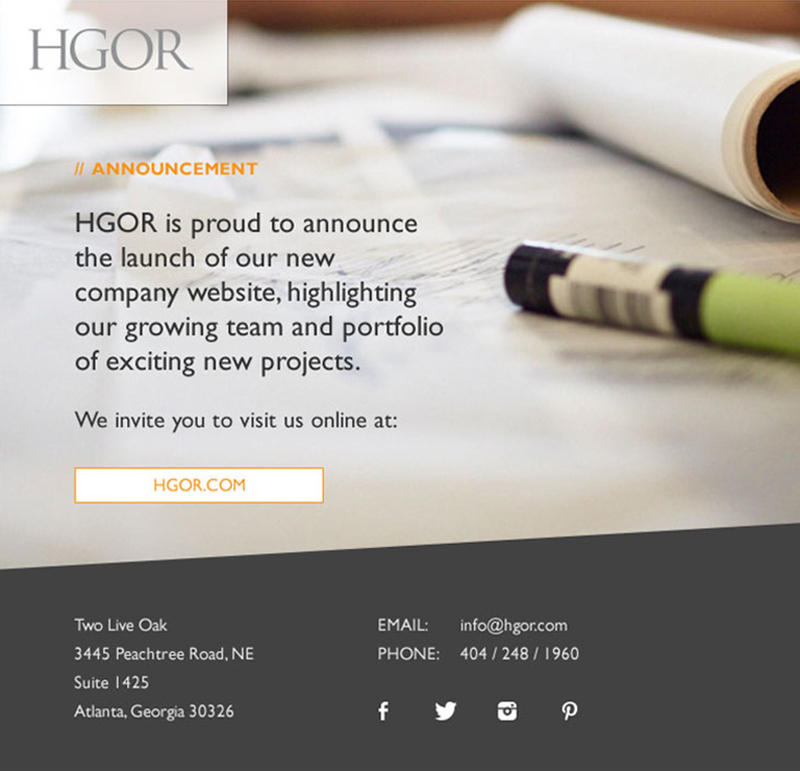 We also needed to create a robust online presence that showcased HGOR’s portfolio of impressive projects – showing how the places they design help connect people to their environment and to each other. The home page features a short video introduction that provides a sneak peak into a few of those environments. Instead of using static images, the video gives the viewer a glimpse of what those environments are actually like. A flexible and easily searched portfolio section was important to showcase such a wide range of projects. Built on a WordPress platform, much of our challenge was to make it as easy as possible for the client to update all content and images throughout the site. You can enjoy the full vision for HGOR at www.hgor.com.